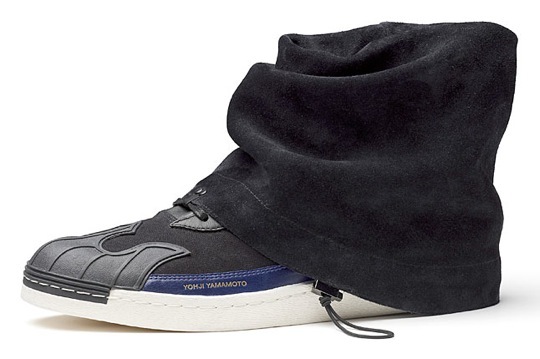 The creativity of Yohji Yamamoto x Adidas through Y-3 carries on at impressive path if we are to judge by the upcoming Fall/Winter 2012 Nomad Star. Finding its balance between the sneaker and the boot, the , the Nomad Star features a revamped Shelltoe with a cover that engulfs the ankle, complete with a drawstring closure. In a blue& black colorway or wine&white, the sneaker should hit retailers in the latter half of 2012 ! Are u ready ?